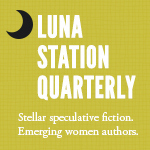 Another Monday is upon us and so I offer up a number of writing related links for your perusal. From using notebook paper to copywriting resources, there is much to take in this week. There is something about the movement through space and the speed of the car on the open road that nourishes my soul. I would have never guessed it judging by the tepid reaction to my first car, an old off-red Datsun station wagon. It got me to high school and back home so I didn’t have to keep bumming rides after band practice. It was also a free gift from my parents. Since I could not afford to buy a car at that time, it was gratefully accepted. Once I had the car for a while, I began to realize the freedom that it offered me. I could go to the mall when I wished. I explored country roads. I took my guitar to the local winery to play music among the grape vines. I used it to help deliver newspapers on my paper route. 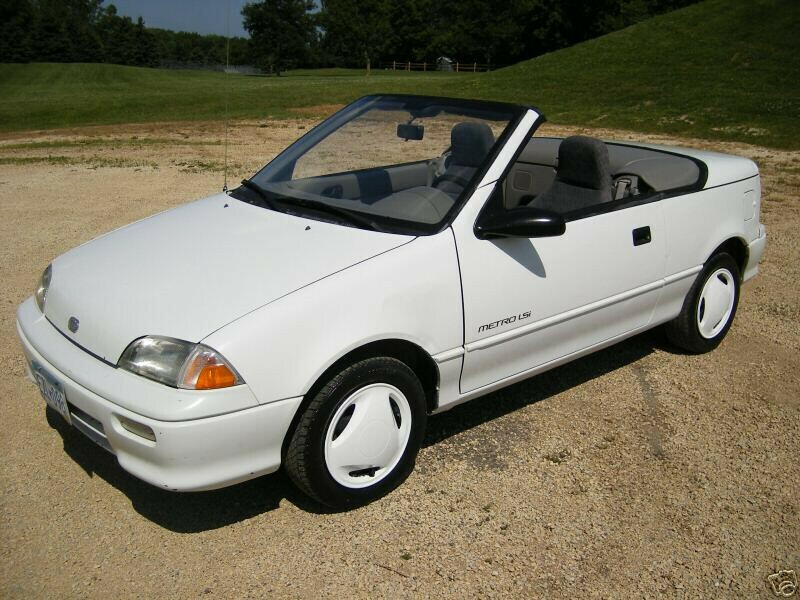 The first car I bought for myself was a little white Geo Metro Convertible. I was a sophomore in college with a new job and money in my pocket. I got the car new off the lot. It was love at first sight. My family and friends all told me that they could not picture me in a convertible. I was a sensible, hard-working girl, not to mention short and overweight. Convertibles were for fun, popular and tall blondes, not a geek like me. At those words, nothing could hold me back from purchasing that little car. Driving with the top down in Southern California was a pleasure that I relished. My favorite drive was Pacific Coast Highway where I could cruise at a comfortable clip with the wetlands and green rolling hills on one side and the white sand beaches on the other. Driving on that road, the problems of my life would float away as the wind blew through my hair. I held onto that car for a long time and when I finally had to accept a new vehicle, I mourned. My current vehicle does not have the style of my former little convertible, but it is far more practical for me. It is a Honda CR-V SUV. I love the radio system, the air conditioning and that it has a moon roof. I can open up that moon roof and get a little of the sensation that I used to feel with my convertible, but now I have the capacity to haul the inventory for my business to where it needs to go. I drive to venues to sell my wares on a regular basis. The SUV can handle it. I often drive the highways of the southwest desert, heading to Las Vegas, Phoenix or Tucson. I like driving in the desert. The land is stark, but has a beauty all its own. The heat outside the vehicle is intense during the day and gives the road a rippling look as you drive. I’m more aware of my surroundings when I travel in the desert. It can be dangerous to be caught without water if you car breaks down and when I’m the only car in sight on a desert road, I worry for my safety. Still, I do not let fear keep me from driving the desert. I keep my triple A card handy, not to mention a good jug of water. That is all I need. When I write about how my characters feel when they travel, I like to draw on my own experiences of the rubber meeting the highway. 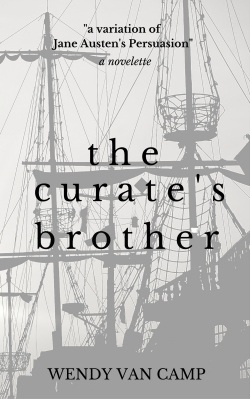 The characters could be in a 19th century sailing ship, flying on a dragon, drifting through the asteroid belt in a spaceship, moving in a myriad of ways to travel toward that distant horizon of discovery. Translating these feelings from reality into our stories is what makes us writers. What ideas do you take from your life and spin into stories? It’s time for the Monday roundup of interesting posts that relate to the art of writing or the wiz-bang methods of selling your writing. 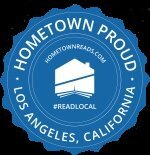 I hope you’ll take a few moments to start out your week with these links. Enjoy! Typing for Output. Handwriting for Recall. A year or two ago, I had taken my key ring out of my purse. It was a jumble of extra rings, keys that I had no idea what they opened, and a heavy fob that had worn smooth until it was just a hunk of metal. I decided that I was going to update my keyring and make it more functional. I began research to find ideas on how to organize my keys better. What I discovered is a fad called “everyday carry” or EDC. This is a hobby where people take preparation for life’s little needs to a new level. Intrigued, I scanned photos of what other people carried in their pockets and read about their ideas of preparedness. There was a wide range of people that did EDC including Survivalists that were preparing for the next nuclear war. Yet, there were many others like myself who simply wanted to function in an urban environment in more comfort. So what makes a basic EDC? It turns out that there are a couple of common items that most people keep in their pockets. The phone and wallet seemed normal enough to me, but the rest I sort of scratched my head at. 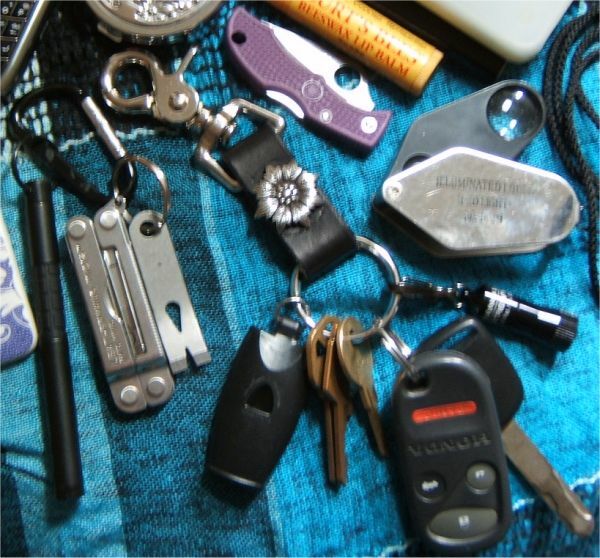 My first EDC addition was a leather key fob with a clip that could attach to my purse. I put my car keys and regular keys on the new ring. It had a flower concho on it for decoration and I loved not only the look, but the inexpensive price tag. Next, I discovered a tiny keychain sized flashlight called a Streamlight Nano. I found that having a flashlight on your person all the time was a godsend. No more having to fumble with my key when I came home at night because my husband had forgotten to turn on the porch light. It helped me feel safer when going to my car after the end of a night class. After a few weeks of using the flashlight on my keyring, I knew that developing a useful EDC was the right way to go. My next purchase was a Fox40 safety whistle. It is quite loud, lightweight and sturdy. Because it is pealess, it will not freeze up in cold weather. I wanted a whistle since I’m alone at night on campus or when I’m out in the park walking my dog. I never used it at school in the end, but I did use it once for an emergency. I had fallen in our garage and injured myself. I tried to call out for my husband on the other side of the property, but he could not hear me. I had my keys and the whistle with me. I blew on the whistle and this brought my husband to me. I will always keep a whistle on my keyring for now on. The whistle, flashlight and keys are all I keep on my main keyring. It can go through the airport security or into any building. With these items and the tools with me every day, it gives me a little added help with my day to day life. For my pen, I purchased a Fisher Trekker Space Pen. It came with a lightweight carabiner and that little black clip became the main holder of my “tool keyring”. The Trekker has a ring on the pen cap so my space pen hangs in my purse in a place that is easy to get to. Now I always have a good quality pen where ever I go. I added a small moleskine notebook in my purse to go with the pen. When I go to seminars or have a writing idea, I can capture ideas on the fly and go back to it later when I’m home on my computer. I recommend carrying a pen and a moleskine to all writers. It makes a difference. I did not have much trouble deciding on the multi-tool. I bought a little $20 Leatherman Micra for the job. Its main tool features a good pair of scissors, but it has a nail file, nail cleaner, a bottle opener and assorted screwdrivers. It also has a tiny blade, but I seldom use it. The multi-tool is 2″ long and takes up little room. I find that I use it quite often, especially when I travel, or when I’m in a class or workshop. The knife was a difficult decision for me. I had never carried a dedicated folder before. Women of my generation were not encouraged to do so, although I’ve been noticing that younger women think nothing of it. The state I live in has stricter knife laws than other places, so in the end I chose a sub 2″ blade from Spyderco called a Ladybug. It helped that the knife scales came in many color choices, including purple! The blade is super sharp, of a high grade of steel and it locks for added safety when using it. I use it to open packages, slice sandwiches in hotel rooms, or to cut twine. It is an excellent beater blade and has been my main pocket knife for two years. It still looks like new. I have purchased a few more EDC items since then, but these items that I’ve listed are my core items and go with me everywhere. By adding tools to my everyday carry, and learning how to use them in my daily life, I feel more confident in the way that I tackle the world. When was the last time you updated YOUR keyring? 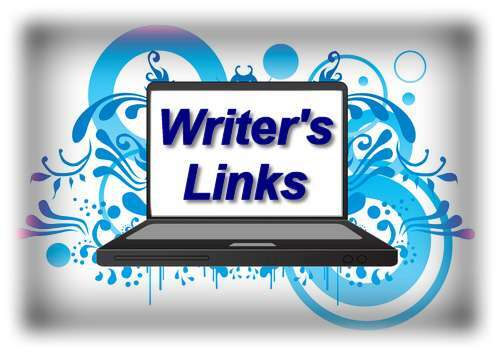 A few author’s links for your writing perusal. From tips to editing your work to the power of proofreading, there is plenty to examine. Just the thing to start out your week! What’s In Your Freelance Writing Travel Bag? Publishers’ Desk: Display or Misplay? 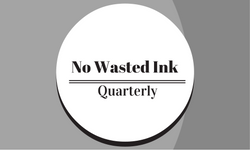 No Wasted Ink Quarterly is a newsletter featuring Wendy Van Camp's book launches, signings, and convention appearances. Sign up today! It is free!